Primary purpose of "Çekmeköy Municipality International Short Film Competition" is to discuss the exemplary life of our Prophet Muhammad, whom was sent down as a mercy not only for the mankind but also for the whole universe. It further serves the purpose of letting us to get to know our Prophet Muhammad, who is a role model, an exemplary father, grandfather, spouse, neighbour and leader for us all for his mercy, deep love, affection, sense of justice and so forth, thus to enable us to look up to him in our social life. In addition to the foregoing, referring to our Prophet Mohammad's life and virtues in cinema, a modern art, will create and raise awareness. In this way, anybody and especially the youth - be it amateur or professional- who takes interest in cinema will have been encouraged to think over it and it will also constitute a medium for them where they will be able to produce. Attention of the cinema producers in other countries will be engaged through the international competition, and this will contribute to create a shared platform where people will be coming together. It will further make great contributions for others to come up with similar productions at different times. The competition is themed on short films outlining our Prophet Mohammad's sense of justice and mercy. What we need more than anything else in these modern times is MERCY, which is not shown by mothers to daughters, fathers to sons, elder brothers to youngsters, neighbour to neighbour, in brief, from one human being to another, and JUSTICE, which cannot be restored for human beings by the governments and global powers as we need to put them on our agenda and to fully practice again in our social life. Impaired sense of justice lies beneath all the fights, wars, violence, racism around the world and everything else that disturbs the peace of mind of humanity by large. Those that do not consent God's ways resort to injustice and oppression. A world where everybody will consent and give blessing is only possible through justice. Justice is the foundation of the state, administration, social, economic and political life. Justice is the major factor that prevents tyranny, injustice, violence and war. Mercy, upon the other hand, is one of the inherent human factors that should go hand in hand with justice. Attitudes and senses such as love, affection, solidarity, benevolence, generosity that make us better individuals, fix families and the society in peace are the consequences of mercy. Our Prophet is the prophet of 'mercy'. It is recited in the Quran as follows: "We have sent you as a mercy". Likewise, justice is mostly referred to in the Holy Quran and most of the issues are established on the sense of justice. Justice and mercy is what we should all invoke to against anything that overbalances humanity and the whole universe such as war, starvation, famine, climate change, global warming, diseases, and armaments. This project addresses and appeals to all professional and amateur participants that are interested in short films. Beginning date of the project is December 10, 2015, which is also the launch date. The launch programme will be at Grand Cevahir Hotel. Date of application and other important dates will be announced at www.merhametveadalet.com. 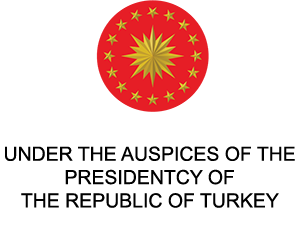 Award ceremony of the project will be on May 08, 2016 at ZORLU PSM. Detailed information will be available on the official website. To encourage people to think about and comprehend our Prophet Mohammed in the cinema world. Any and all participants- whether professionals or amateurs- are welcomed at the short film competition. Fiction, animation, documentary and experimental films produced in a digital format after 2013 and referring to the theme of "Justice and Mercy" either directly or indirectly will be accepted. Fiction, animation, documentary and experimental films not longer than 15 minutes, including credits, will be accepted. The preliminary jury may extend the prescribed length, if deemed fit. A contestant may apply with more than one works. Having participated in national or international competitions or having been awarded with a prize before is not an obstacle for application. Filling out the online application form given at www.merhametveadalet.com means that applicants accept the competition terms. Participants should upload their film(s) on the web site online after filling out the form. The uploading quality of the films must be DV PAL (720 x 576) or 1080p (1920 x 1080). The file to be uploaded must be smaller than 2 GB. The competition committee shall be entitled to have the usage rights of 1 minute-length of the film for promotion purposes. The applicants may not withdraw from the competition once the films short-listed by the preliminary jury are announced. Directors of the films accepted to the competition will be invited to the award ceremony. Çekmeköy Municipality personnel and their relatives, and the jury committee and their relatives may not apply for the competition. Films evaluated and accepted by the committee of selection shall be announced on the official web page of the competition and by media. Producers of the films that get to the finale must have sorted out copyright issues such as film soundtrack, script, directing etc. The Advisory Board may ask for permits, copyright certificates and deeds of consent if and when deemed necessary. 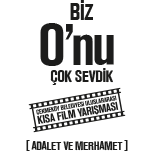 Turkish and English subtitled copy of the film, if produced in a different language than Turkish (The Competition Board will provide Turkish subtitle support for screening). A short biography of the director in Turkish and in English (maximum 100 words) must be e-mailed in a digital medium. The Competition Committee reserves the right to make any and all modifications without notice. Appointment of the jury rests with the discretion of the Advisory Board. The Advisory Board is at liberty to select and assign jurors amongst the circles of screen writers, academicians, cinema industry, other branches of art, executives of film festivals, and journalists, whom are sincerely believed to be competent particularly in cinema and primarily in culture and arts. The Advisory Board may assign a non-voter supervisor at jury meetings in order to assist implementation of the regulation. Maximum 50 (fifty) films may be nominated for the competition at the end of jury evaluations. Jury will award the "Best Film Prize" to one film only that has been accepted to the competition. Jurors are obliged to watch all of the films and to be present at jury meetings. A juror may watch each film individually and/or collectively on the dates designated by the Advisory Board. Jurors may elect a chairman amongst themselves, if desired. Jury may not make a decision for not awarding a prize. It is obliged to select a film. The circumstance may be explained in its reasoned decision though. Jurors may not disclose or share its opinion for the competition results to or with anybody except at the jury evaluation meeting under any circumstance. Payments are made by hand on the award-giving ceremony night. Legal taxes, fees and deductions likely to be imposed on the award rest with the award-winners' responsibility. Monetary prize shall be delivered to the director of the film named in the credits against a delivery report. Award ceremony is planned to be held at CRR Convention Centre upon participation of the Most Reverend President and Dear Prime Minister. Awards will be given by high state officials at a special ceremony. Prominent names from cinema and art circles, academicians from relevant departments and majors of the universities, and press will be invited for the award ceremony.